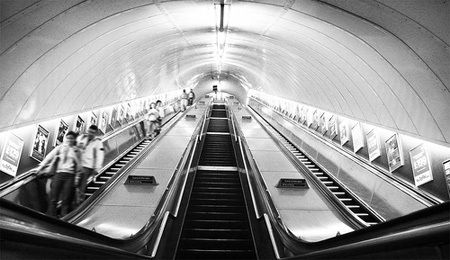 When I was in London last Friday… I was travelling up the escalator at Oxford Circus tube station *tsking* at the impatient healthy types that were overtaking me on the left when I noticed the woman in front of me. Or more accurately, I noticed her non-existent skirt. 1). She might have been a total exhibitionist and telling her would only have made her day. 2). I didn’t fancy a smack in the gob. So instead of looking ahead, I kept my eyes down and concentrated on her ankles. I had to give a wry smile when I saw a pair of beige plasters covering the backs of her heels where her shoes had obviously been rubbing. Priorities ladies… if you’re gonna cover the backs of your ankles you can go one step further and cover up your minges too. I don’t care if it’s sunny… have some class. Elastoplast Invisible Protection is a new plaster on the market. An innovation in plaster technology if you will… I’m so excited, I might just pee myself. Elastoplast Invisible Protection simply promises to be the most invisible a plaster can be. It’s always the simple ideas that work the best no? Not only that… but Elastoplast are offering you a free sample so you can put their claims to the test yourself. Click here to register for your free sample. 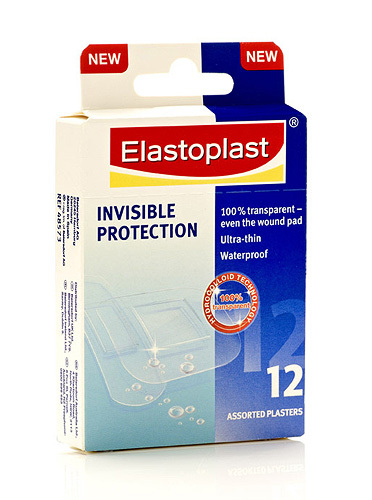 Elastoplast Invisible Protection plasters are priced at £2.99 and available from all major erm… plaster retailers. What are you waiting for? Go stick I mean stock up! ah yes, that will cover the ankles, but what about the minge??? I may cover my ankles with visible plasters, but I also cover my bits though, so it’s all good. I haven’t tried those- I’ve got the Compeed blister plasters, which are transparent and claim to heal the actual blister while they’re on there. My only beef with those is that they’re so thin that they offer no acual protection from rubbing, which is the main point of wearing a bloody plaster for me! This post made me LOL! Bwahahahahahaha! Shouldn’t be so amused at the thought of someone flashing their baggy gusset but love how you called her out about it. It is ONLY cute to flash your pants when you’re pre-pubescent and preferably pre-school. hmm, maybe i’m dense but i have no idea what you’re referring to in this article haha! can someone spell it out for an ignorant yankee? minge = um… well… erm… google it!